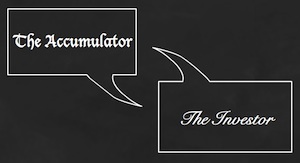 For years it stood alone as the only guide to passive investing that catered for UK investors. While US readers could revel in the works of Bogle, Bernstein, Swedroe et al, only Tim Hale waved the flag for Britain. And the truth is that, in many ways, his book is better than any of their mighty efforts. Why is it superior? Because Smarter Investing – now in its third edition – is the clearest route map that you could want to guide you on your investing journey. Investing philosophy, evidence, advice, product pointers plus the calculations required to materialise your goals and plot your course like neon way markers through a foggy swamp – it’s all there in Hale’s book. Low costs over long shots. Discipline over delusions of grandeur. Diversification, asset allocation, and index trackers over the half-baked rot you read in the newspapers. Piece by piece, Smarter Investing lays out the trail that leads you to firm conclusions, a definite course of action, and some idea of where to go to pull the trigger. It’s as close as you can get in book form to having your very own financial lackey serve you up a plan on a plate. By the end, you can sketch out your own asset allocation, selection of funds, and schedule of contributions to hit retirement and be roughly in the right ballpark. All you have to do is fill in the blanks. If paralysis analysis is your problem, then this book has the power to break the impasse. What it won’t do is fire your imagination. The prose does not sparkle. You won’t be whisked away, dancing on word beams that paint a picture brighter than a thousand suns. Hale is dry, logical, and clear. His wisdom is understated. He doesn’t try to quicken your pulse or sugar the pill. In many ways, the book is like index investing itself. Dull, rational and effective. If you want excitement, go down the bookies. You’ll need some stamina to stay the course but only because Hale takes the trouble to back up his assertions with evidence. He wants you to know that unlike many active funds’ marketing teams, he’s got credible research and theory on his side. It’s hard to imagine a more useful book. It will teach you what returns you can reasonably expect from your portfolio and the chances that those returns might turn to dust, and shows you how scary the market big dipper can be and how long it can take to recover from a crash. If DIY investing were taught in schools then Smarter Investing would be the core textbook. With any luck, because it’s your money on the line, you’ll be more motivated than any class of 16-year olds. Yes, I can imagine a shorter and easier book. But not a more empowering one. I purchased this a couple of months ago on the basis of an earlier recommendation and agree that it is something of a dry read. It is something like going back to university again. I am looking to offload these expensive funds eventually but I’m concerned about the timing of trying to do this at the current time. This is the best website I have ever visited. Monevator + Smarter Investing: Armed with both, I have the knowledge and confidence to plan and execute a wealth management strategy for my family and future generations, and have saved myself thousands paying for confidence and advice from a financial advisor. I’ve borrowed the latest (third) edition from the library. Excellent book. The must read book for any UK investor yet to embrace passive investing, in the same way monevator is the must read website. I can’t tell you what’s changed in the latest edition as I’ve not read it previously. Although I can tell you it it has commendably been updated to mention Bradley Wiggins and Chris Froome’s Tour de France victories. I didn’t actually find it that dull, and whatever you do don’t let that put you off, but about excitement he says ‘my advice to you is that if excitement is what you want, book a turn on the Cresta run with some of the money you have made from being a smarter investor’. At the risk of being hyper-critical his defensive asset discussion is the only bit of the book I would question slightly. He is too negative in my view about holding cash and too categoric about using shorter dated higher quality conventional bonds (in addition to inflation linked bonds). I’ve just taken out a 5 year cash ISA at 3% AER (with the option to withdraw with the loss of 180 days interest) and yet the gross redemption yield on a benchmark 5 year gilt is 1.6%. So I’m not sure what his argument is for being so negative about cash. His argument seems to be based on the same flawed analysis of cash in the otherwise excellent Barclays Equity Gilt study, which is not representative of the cash rates on best buy savings accounts. If you have a savings account and don’t shop around for the best rate then that could be an argument for going with shorter term conventional bonds. If you have money in a pension where there are limited cash options again that is an argument for bonds. And if you are relying on yields to go down in a scenario when equities fall in price then again that is an argument for bonds being better protection. So I would say look at bonds AND best buy savings accounts. As I say that is me being hyper-critical and there is room for different views here. I like his concentration on the need to think logically like Mr Spock, and that the active industry thrives on the human tendency for people not to think like Mr Spock. It’s always amazed me that people can’t see the logic of low cost passive over active investment regardless of all the evidence out there that active investing ‘does not compute’. Yes a must read. Although it didn’t fully make sense to me when I first read it as I was very new to the whole investing concept. I suspect that one of the shorter more accessible US books might actually be a better starting place to get people inspired. For those of us with earlier editions (mine is 2nd) is there anything substantive in the third? Agree with Snowman’s comments, not wanting to get into the whole bondrisk free debate again but the trouble with a SIPP is there is generally no interest-bearing cash option within it. I had a 2% 1 year fixed rate cash offer in my H-L SIPP but that was pre-Funding For Lending and since that expired nothing comparable to replace it, so you are stuck with bonds or short-dated stuff with rubbish rates that may as well be left as cash. In the spring my 2 yr Cash ISA fix @4.1% will also be coming to an end, boy in hindsight I wish I’d gone for a 5 yr fix instead. But regardless of rates I won’t be switching any of my Cash ISAs into Equity ISAs as I want to maintain a broadly 50/50 split between Cash and Equity ISAs. I guess it depends if you view your portfolio as a whole or separate components (e.g. higher risk allocation in SIPP vs low risk ISA combination = medium risk overall). I am my own worst enemy when it comes to tinkering/active investment decisions, Tim Hales nails this aspect in his book. I can see me coming full circle one day and putting the whole of my SIPP into a LifeStrategy fund. @ Snowman – I agree with you, as usual. @ Vanguardfan – agree again. It is probably a tough first read and I know a few people who’ve bounced off it, probably because it was too steep a hill to climb. But it is clearly written, so I think maybe it’s the length that some people find arduous. Perhaps a first-timers book would be The Millionaire Teacher or The Coffeehouse Investor. I’m going to follow up with a post on some of the key developments in the 3rd edition. The fundamentals are the same (this is passive investing afterall) but it’s a good refresher. I would agree that this book along with the Four Pillars of Investing were really good reads. With thanks to this website, which I don’t quite know how I came across and those two books I would never have started my investing journey. 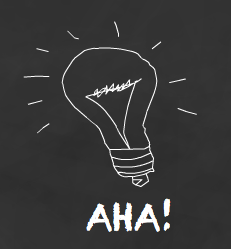 So TA and TI, don’t underestimate the influence you are having on a lot of people’s lives…. great review! I bought the third revision of this book a few weeks back, after spotting your take on Tim Hale’s method, in your 9 lazy portfolio’s post. It’s a fab book, and along with your site, has convinced me to invest my ISA money from now on into a passive portfolio, rather than going for the hit and miss, fly by the seat of your pants, DIY ‘investing/trading’ style i’ve usually adopted. Perhaps monevator could be viewed as the missing ‘investments’ section of MSE. They only deal with cash and pay lip-service toward peer-to-peer. If this observation is correct, this site is probably worth millions.. Very much look forward to your comments on what is new in the 3rd edition, I actually paid money for the 2nd edition it was so useful. Unless there are drastic changes (which it sounds like there aren’t) I’ll borrow it from the library and skim through. So far of the reading I have done as a beginner this was easily the best (along with Investing Demystified – which I found an easier style to read). Sadly I think what is worth millions is the Martin Lewis brand…. 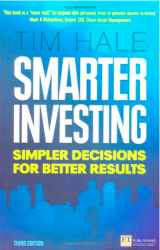 I have Tim Hale’s book and whilst I found it very informative,it was a ‘chewy’ first read on investing. 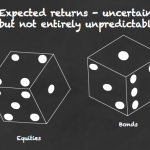 Is the aforementioned ‘Investing Demystified’ aimed at the UK market? Suppose I find the case for passive investing persuasive. Suppose I fear that ETFs will come a cropper in the next market collapse. What are the best two or three non-ETF ways to invest passively? For instance, are there any cheap closed-end funds that would do the job? I think a fair few UK Financial Planners (IFAs) should be made to read this book too. Whilst some of the more forward thinking advisers follow the same logic as Smarter Investing, indeed it was from someone within the industry who originally suggested it to me, many are still firmly using active funds with justification little better than a wet finger in the breeze. I believe a perfect accompaniment to Tim Hale’s book is The Number by Lee Eisenberg. Where Smarter Investing can, as noted above, be quite hard going The Number is a relatively fun read whilst still getting across the main theme i.e. how much do you really need to live on. Whilst aimed at an American audience, the underlying principles can be applied to investors anywhere. It depends why you think they will come a cropper and what you intend to do about it. If you are worried about synthetic derivatives that some ETF’s use to mimic an index then open end index funds such as are produced by Vanguard or HSBC are the way to go. If you want a balanced portfolio that will mitigate part of a fall in the stock market then a mixed passive open ended fund such as the Vanguard Life strategy funds may be the way to go. There have been a couple of closed end funds that have been passive or semi passive such as the Gartmore/Henderson Fledgling but I don’t know of any now and I don’t really see the advantage of the closed end structure as far as passive investing is concerned. @ Dearime – you can invest in index funds – Unit Trusts or OEICs. Index funds have been around since the early 70s and that fund structure since the 1930s. It’s not closed end of course. The Edinburgh Tracker Trust is the only closed end passive vehicle I know of. Still, ETFs have been around since 1994 and I haven’t come across any reason to distrust the broad index tracking, vanilla types any more than funds or investment trusts. Even the warnings of a couple of years ago could be applied to any vehicle that lends stocks or entails some other type of counter-party risk. The response from the ETF industry has been to increase transparency about what they’re doing. Thanks for the kind comments about Monevator that have somehow slipped in among the positive words for Mr Hale! Thanks for a great website and for pointing out the book. It prompted me to buy the kindle version, and I’ve just finished it. It isn’t a light read. Having said that I thought it effectively trod the fine lines between too much and too little detail, and between providing direction and being too prescriptive. It’s given me the push I need to step back, think and plan. I’ve got a couple of pots reorganised, and also revisited others. I’ve found some surprising things, some managed fund nasties, but also some pleasant ones. My current staff pension scheme is weighting in at just over 10bps, result! “This is the best website I have ever visited. Agreed – sterling work all round! P.S – I have a feeling that I am in the minority as a female on this website – true or a misinterpretation on my behalf?! Cheers, Emma! We don’t have any stats on the gender breakdown but I have a feeling you’re right. Any thoughts on why that might be? I’m not sure why people feel the need to drone on about the writing style. I read v2 over a period of a month or so, and deliberately read it slowly as I wanted to absorb and understand the arguments. The writing style was right for the subject matter. If people want entertainment and laughs, there are plenty of racy investing books out there designed to amuse. None, I suspect, are half as useful or intelligent as the Hale book. I’m tempted by v3, but will wait to gauge whether it’s much different from the previous version. One thing I was always aware of as I read it (early 2012) was that it was published in around 2009, and presumably written a while before the dust had settled on the economic downturn. This prompted questions in my head about whether Hale’s analysis might have thrown up slightly different results if the 2007-09 data was included, and whether his conclusions might have differed slightly. From the original review, above, it sounds like the conclusions are the same but I wonder if some of the examples have changed? Sorry about this very dry and stodgy post. Have you heard the one about the monk with the filthy habit? It is UK focused and is a much easier read, in my opinion, than Tim Hale’s book.